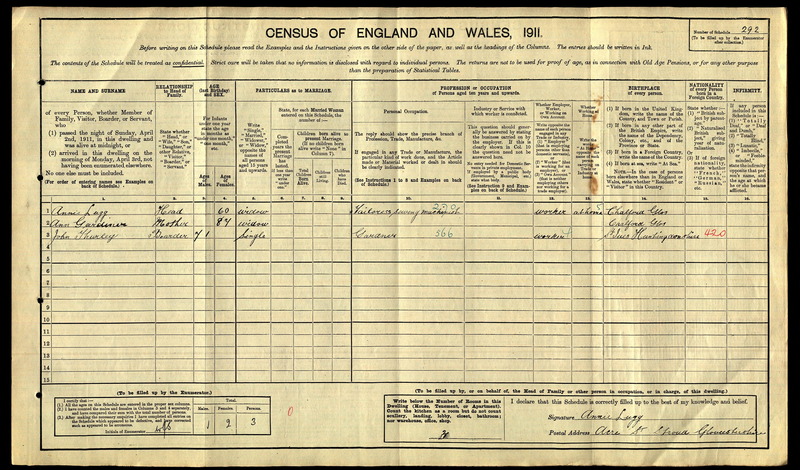 Son He appeared as the son of William Thurley in the 1851 English Census in Sandy, Bedford, Bedfordshire, EnglandBG. Marriage Edwin Thurley and Emma Miles were married on 19 January 1868 at Holy Trinity Parish Church in Haverstock Hill, St Pancras, London, EnglandBG. Death He died on 3 June 1904 at Dyson Street in HalifaxBG. 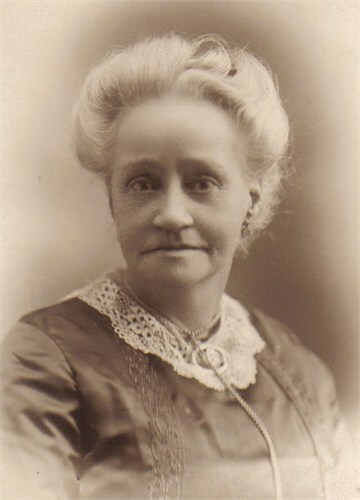 Birth Emma Miles was born on 26 June 1843 at Girtford in Sandy, Bedford, Bedfordshire, EnglandBG. Marriage Edwin Thurley and she were married on 19 January 1868 at Holy Trinity Parish Church in Haverstock Hill, St Pancras, London, EnglandBG. Death She died on 4 December 1924 at age 81 at Carberry Road in Burnley, LeedsBG. Birth Eliza Cooper was born in 1815 in Sandy, Bedford, Bedfordshire, EnglandBG. Marriage William Thurley and she were married after 1838. Marriage William Thurley and she were married after 1841. Birth Louisa Margaret Thurley was born on 6 June 1858 at Quarry Road in Tunbridge Wells, Kent, EnglandBG. Death She died on 9 February 1933 at age 74 in Halifax, West Yorkshire, Yorkshire, EnglandBG. Birth William Thurley was born on 16 January 1862 at Quarry Road in Tunbridge Wells, Kent, EnglandBG. Marriage He and Sarah Elizabeth Wilkinson were married on 4 December 1888 in Kings CrossBG. Death He died on 16 November 1915 at age 53 in Blackpool, Dorset, EnglandBG. Birth Sarah Elizabeth Wilkinson was born on 17 February 1868. Marriage William Thurley and she were married on 4 December 1888 in Kings CrossBG. Death She died on 30 January 1927 at age 58. Birth Ella Sheard was born about 1879. Death She died on 22 July 1952. Birth Barbara Thurley was born on 10 September 1922. Death She died on 24 July 1927 at age 4. Death He died on 9 September 1979 at age ~67 in PrestonBG. Death Margaret Thurley died in 1987. 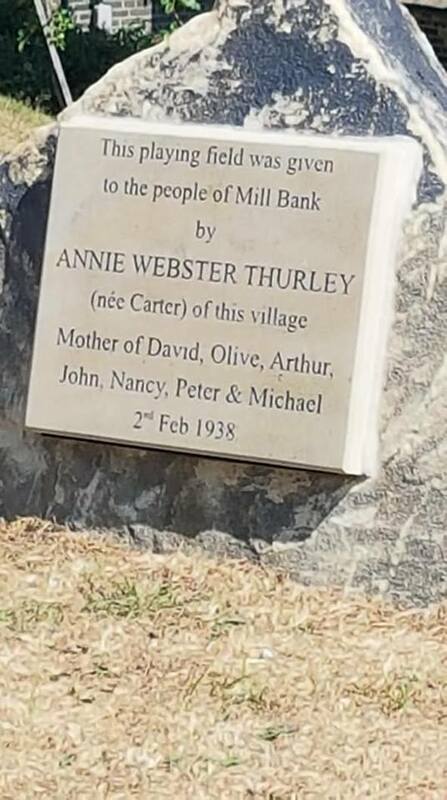 Birth Louis Thurley was born on 13 September 1889 in Willow Mount, Kings Cross, EnglandBG. Milit-Svce Louis Thurley served in the Royal Army Medical Corps from 1914 to 1918. Marriage He and Annie Webster Carter were married on 17 February 1915 at Parrish Church in AldershotBG. Death He died on 8 February 1973 at age 83 in Mombassa, KenyaBG. [OTH] Plaque commemorating the gift Annie Thurley made to the local community. Marriage Louis Thurley and Annie Webster Carter were married on 17 February 1915 at Parrish Church in AldershotBG. Death She died in 2001.